Like security threats themselves, the work required to protect the nation is constantly changing and it cuts across numerous disciplines. Our mission is to make a difference by providing high quality academic programs, blending an interdisciplinary and entrepreneurial spirit, fostering enthusiasm for learning and teaching, promoting operational application of knowledge, and leading cutting-edge research initiatives that bring together people, technology, and knowledge to address the challenges of the 21st century. The College of Emergency Preparedness, Homeland Security and Cybersecurity has been a member of the iSchools consortium since July 2018. We join industry thought-leaders worldwide in shaping the teaching and practice of information studies and related aspects of the field, now and into the future. Together we share a fundamental interest in the relationships between information, people, and technology; and the vision that our interdisciplinary approaches to education and training have a profound impact on how those relationships function. CEHC launches its new drone flight training center to the community, bringing the possibilities to new heights. CEHC security experts assist FEMA in helping local communities coordinate with national efforts. Call it Disaster U: The University at Albany, a State University of New York institution, has developed its own sort of emergency response to the infrastructure, environmental and national security problems in the age of terror threats and climate change. 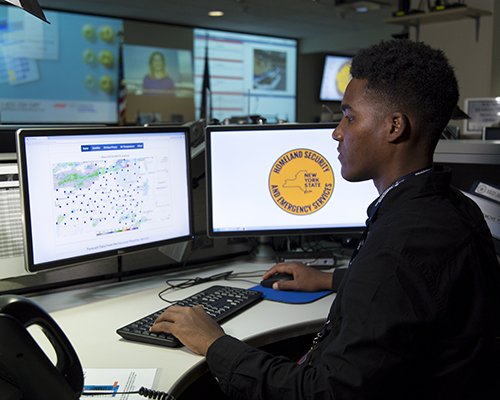 In the capital of a state hit by both the 9/11 attacks and 2012's Hurricane Sandy, the College of Emergency Management, Homeland Security and Cybersecurity is the first of its kind in the nation. 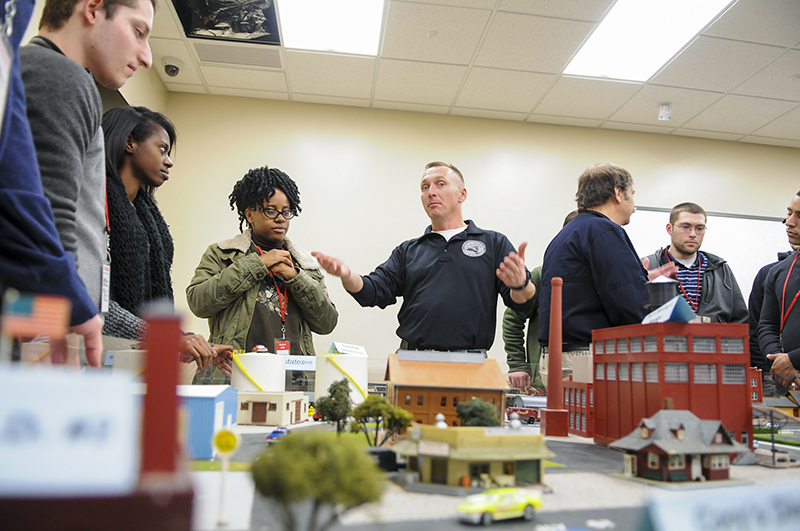 At the college, students learn how to handle emergencies, including prevention, immediate response and dealing with the aftermath. Student demand for UAlbany’s first-in-the-nation College of Emergency Preparedness, Homeland Security and Cybersecurity (CEHC) is continuing to surpass all expectations. The college will begin this semester with about 600 declared majors, 350 minors and 220 intended majors in its Emergency Preparedness, Homeland Security and Cybersecurity (EHC) program alone. When adding its major and minor in the Department of Informatics, along with graduate-level programs, the total student number jumps to close to 2,000.